Chalet Artemis is an outstanding luxury ski chalet in St Anton featuring a private cinema and indulgent spa area with hot tub, swimming pool, steam room and sauna. Spread over four floors and some 500 square meters, Chalet Artemis is truly spacious and is without doubt the most sophisticated of all the chalets in St Anton and deserving of its Flagship title. Chalet Artemis features six large en suite bedrooms located on the ground and first floors, some with private balconies. Stylishly furnished, each room is fully wired for sound and vision with flat screen plasma TVs, top of the range Sonos sound systems and desk space for those wanting to use a laptop. The modern en-suite bathrooms feature bathtubs with REN skincare products. Take the lift to the top floor, home to the open-plan living room and dining area which brings together old and new - Austrian sublime meets 21st century wine wall. A large balcony overlooks the village with a statue of Artemis herself keeping watch over the resort. Gorgeous designer sofas, stunning works of art, and an open log fire define the upstairs living area, which is the perfect place to relax with a glass of champagne before dinner. As part of the Flagship experience, enjoy exceptional gourmet fine dining on six evenings, served with fine wines chosen especially by our Master of Wines and full drinks cabinet. The wellness area on the lower ground floor is the last word in luxury and a fabulous highlight of the chalet. It features an 8m indoor swimming pool, wet room, sauna, steam room and an indoor/outdoor hot tub ideal for easing aching limbs after a day on the slopes. There is also a massage room where you can indulge in a full menu of treatments including massages or facials from our Scott Dunn beauty therapist. Also on the lower ground floor is the private 12-seater cinema. Watch big sporting moments and feature films from the comfort of its retro red velvet chairs with some delicious popcorn. Please note, all of our chalets are non-smoking inside. 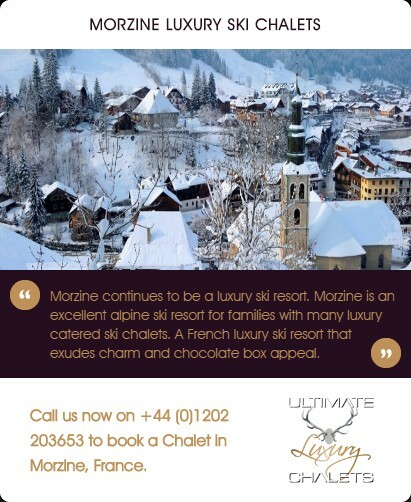 Prices are per adult for 7 nights in a fully catered chalet. The price includes private transfers, full gourmet catering and in-resort driver service. Laurent-Perrier champagne on six evenings. Chalet Artemis has six luxurious and equally sized bedrooms, all with modern en-suite bathrooms stocked with skincare products. The rooms are all impressively large and stylishly furnished with soft colour palettes and comfortable seating areas, some with small balconies or terraces. Each room has a flatscreen TV, (UK Freesat HD), DVD player, broadband and sophisticated Sonos music system that can be adjusted for both bathroom and bedroom. The chalet also has its own iPad for guests' use. Situated in the Nasserein area of St Anton. 5 minute drive to main lift station.